As a Clinic owner (Changes Clinic in Portsmouth), when I’m out in and around Portsmouth and Hampshire, I am often asked about Botox as an anti-wrinkle injection, as both men and women are intrigued by the effects of this product. We seem to be more aware of Botox when it’s been over-used: when we see celebrity ‘freaks’ on television who have been poorly treated. You’d think with the funds celebrities often have available that they’d be better advised to choose a great practitioner for their wrinkle injection. 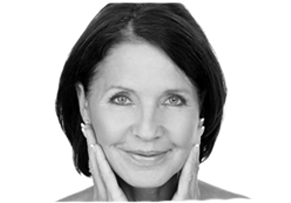 All anti-wrinkle treatments should leave you looking refreshed, relaxed and rested! A great practitioner will work in pursuit of making you look great, without the rest of the world knowing you’ve had treatment. There are a lot of myths around the use of botox and other wrinkle treatments, so I thought it may be useful to have some facts and tips if you’re trying to decide whether or not you’d like Botox in Portsmouth. If there’s a question you have that’s not answered below, If you are looking for a Portsmouth Botox Clinic please feel free to live chat below, or call Changes Clinic on 02392 382 000 to book your botox consultation today. Myths and Facts about Botox as a Wrinkle Injection (Botulinum Toxin Type A) and how to use it safely! BOTOX® is the trade name of one of a range of Botulinum Toxin A products from Allergan, so to be factual when we are talking about the drug used to inject to aid visual rejuvenation, we are giving facts about Botulinum Toxin A. Commercially, Botulinum Toxin A is marketed under the name Botox but there are many other manufacturers of Botulinum Toxin A e.g. Azzulure, Dysport, Bocouture all of which are used by reputable Botox clinics. Botulinum Toxin A is a drug made from a neurotoxin produced by the bacterium Clostridium Botulinum. It blocks signals from the nerves to the muscles. A muscle is injected with a tiny amount of Botulinum Toxin A. The muscle can no longer contract which then causes any wrinkles to relax and soften. It is most often used on forehead lines, crow’s feet and frown lines. Is Botox only used in the cosmetic industry? No, it’s used for a number of medical conditions, including chronic migraine, crossed eyes, excessive sweating (hyperhidrosis), teeth grinding/jaw clenching as well as many body movement disorders. “Botox” is safe in the right hands, if delivered by an experienced practitioner. Studies show very few side effects from “Botox”. Where can Botox be used on the face? Forehead, crow’s feet, frown lines, bunny lines, jaw, neck platysmal lines, chin, smile lift. Only trained doctors, nurse prescribers and dentists should provide non-surgical cosmetic treatments such as ”Botox” says new legislation – which was produced following a clamp down on the industry. Currently people, such as beauticians, with no medical training are administering anti-wrinkle injections, even though it is a potent neurotoxin and they are not a prescriber. At Changes Clinic we only let our trained doctors and nurse prescribers administer Botox, find out more about our Botox treatments. So can any nurse administer Botox in Portsmouth? Not all nurses are prescribers! In order to use “Botox” safely, you are best advised to work with a doctor, dentist or nurse prescriber for treatment. “Botox” is a prescriptive drug so if you go to a nurse who cannot prescribe directly, you should be seen by the prescriber on a regular basis too! Why is “Botox” charged at different prices in my area? As with many products, different brands charge different prices. Some brands have more clinical evidence of their product hence may charge more. BOTOX® by Allergan has a higher content of Botulinum Toxin A in its product than any other brand and is more expensive as a product to buy. Some practitioners charge more due to market demands – globally there is a great differential in the price of “Botox”. “Botox” comes as a dried powder that must be kept refrigerated. There is no set volume of saline that is used, it is up to the individual provider. Therefore, different clinics use different dilutions, all of which are potentially valid. But, the key is really how many UNITS are being injected into an area and not how many cc’s or vials. Beware of unscrupulous practitioners where you are getting less value for your money! Why do some Botox treatments last for 3 months and others up to 6 months? There are subtle differences in the chemical formulations of the main brands of Botulinum Toxin available in the UK. If your product has less Botulinum Toxin A in dilution, it won’t last as long. Some individuals’ muscles are stronger than others so more product may be required more often. Unfortunately, you need to beware of some practitioners who insist that you return to them for treatment after 3 months. They may be encouraging you to visit more for their own benefit! Do all wrinkles respond to “Botox”? Wrinkles caused by sun damage and gravity will not respond to ”Botox”. What should I ask the practitioner if it is the first time I am visiting for a “Botox” treatment? As the leading clinic of Botox in Portsmouth we are always being asked all sorts of questions, below we have compiled a quick go to list of questions you should ask any Botox clinic before paying for any Botox treatment. Q – Is the person a doctor, dentist with experience or nurse prescriber? If they are, then great! If they’re simply a nurse with experience then you may wish to walk away. Q – What product is being used? You can then check the internet if you require more research prior to treatment to validate the practitioner’s information. Q – How often would you need to visit? You should always be offered a 2 week review following treatment and beware if they insist on a strict 3 months visit period (not everybody needs that). Q – Ask for a price for your required treatment. Sometimes this is given per area, or per unit. Typically, 1 area is around £160-200, 2 areas £230-270 & 3 areas £280-320. If it is significantly less, you may want to question the quality of product, the units being received, and the lasting effect of your treatment! At Changes Clinic we only administer the highest quality of Botulinum Toxin A at our Portsmouth Botox clinic. Can any doctor, dentist or nurse administer aesthetic treatments? In theory yes, as they understand the anatomy and nature of the drugs. However, for best results it is advised to work with an aesthetic clinician who has the training, experience and skill to deliver great results! If you want to find out more about the Botox treatments offered in our Portsmouth clinic, or any other anti-aging wrinkle treatments our staff are always happy to help. There is an art in administering anti-ageing treatments, and we have the skill and experience to perform to the highest standard! Getting treated with Botox is not about luck but more about researching your practitioner and not being afraid to ask the right questions! !